So many desserts to make, too little time. Don’t you often get the feeling that there are so many types of desserts or pies that you want to make for Thanksgiving but you simply don’t have the time to make each and every one of them? Or perhaps, you are looking at the feast of pies in front of you during Thanksgiving and wish you can try each slice of pumpkin, pecan or apple pie – but feel like it’s way too much to eat all three in one go! I hear ya! I know the feeling!!! But I am glad to inform you dear readers that we have found the solution to this dilemma! The answer – the ultimate pie dessert for Thanksgiving – Apple Pumpkin Pecan Pie! Woohoo!!! Yes, you read it right – it’s three pies in one! 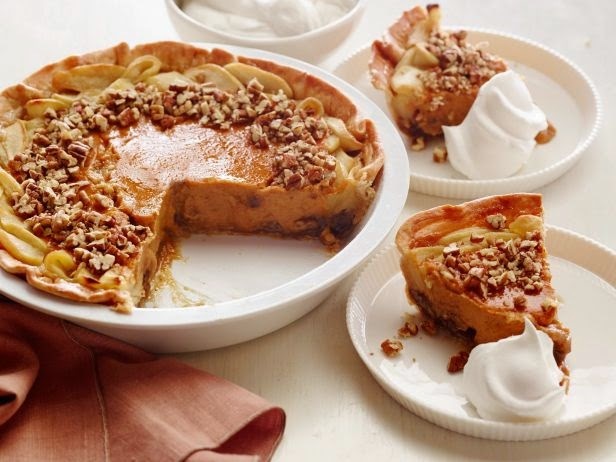 With just one bite, or perhaps two – you can have all the yummy flavors of apple, pecan and pumpkin pie! Isn’t that amazing? And the best part – you only need to do one pie! I am so glad Foodnetwork.com kindly allowed us to share their recipe here so we can enjoy this unique and totally scrumptious pie. So, what are you waiting for – make this 3-in-one delicious pie for Thanksgiving! I am sure your whole family would be totally pleased! For the crust: Position the oven rack in the middle of the oven and preheat the oven to 350 degrees F. Coat the bottom and sides of a 9 1/2-inch deep-dish pie pan with nonstick cooking spray. Roll the pie dough out, if needed, into a 10-inch round on a lightly-floured surface (or between two pieces of floured parchment paper). If the dough gets too warm, refrigerate it to firm up. Ease the dough into the prepared pie pan. Fold the overhanging dough under itself and crimp the edges as desired. Chill for 30 minutes. Meanwhile, spread the pecans out on a baking sheet and bake until golden and toasted, 8 to 10 minutes. Let cool and separate 1/3 cup; coarsely chop the 1/3 cup pecans for garnish and set aside. For the pecan pie filling: Scatter the remaining 1 cup pecans in the bottom of the cooled pie shell. Whisk the corn syrup, brown sugar, butter, egg and 1/4 teaspoon salt together in a medium bowl. Pour the egg mixture over the pecans. Bake until just set, 20 to 25 minutes. Transfer the pie to a rack until cool to the touch. For the apple pie filling: Meanwhile, peel, core and cut the apples into 1/4-inch slices. Toss with the granulated sugar and lemon juice in a medium bowl. Melt the butter in a large nonstick skillet over medium heat, then add the apples and cook, gently stirring occasionally, until the apples are soft but still hold their shape, about 10 minutes. Stir in the flour and cool completely. (Spread the mixture out on a baking sheet in a thin layer to help cool faster). Pile the cooled apple mixture up and around the edge of the cooled pie (directly on top of the pecan filling) leaving about an 8-inch well in the center of the pie. For the pumpkin pie filling: Whisk together the pumpkin, heavy cream, granulated sugar, egg and spice in a medium bowl. Pour the filling into the center of the pie (directly on top of the pecan filling) with the apples as a border. This is the best pie recipe ever!! I love how you have combined three delicious pies into one super pie!! Thanks, Nicole! I love this recipe, too. Saves us the decision on which one pie to make as here we can have all three. Glad you stopped by. Abby, this looks delicious. What a fabulous idea to combine all of those yummy flavors together. It's sure to please everyone at Thanksgiving. Great job! What a fun way to make everyone happy (at least as far as the pie goes! LOL) This looks awesome! Yes, no more arguments as far as the pie is concerned. 🙂 Thanks, Debi. Appreciate you stopping by. What a wonderful recipe combining two classic pies into one. Wo that looks sooo delicious Abby!!! This looks amazing! What an impressive Thanksgiving dessert this will be! Sounds like a pie that would be perfect, get it all in one slice! 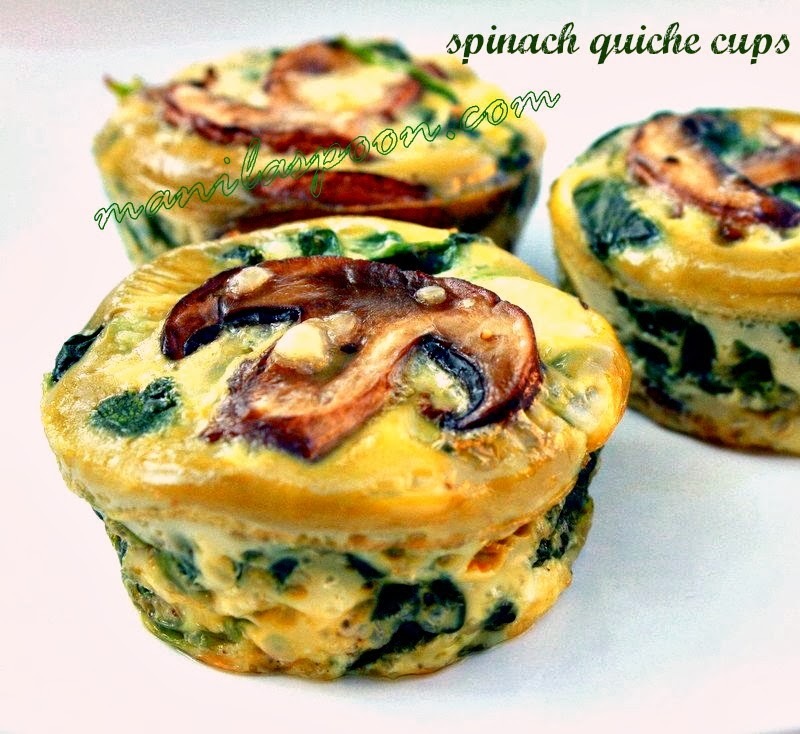 This looks absolutely amazingly scrumpriously delicious! WOW! I am going to make this at the weekend. I can't wait!! What an incredible looking pie Abby! The thought of being able to combine my hubbie's 3 absolute favorite Thanksgiving dessert flavors into a single pie means happy hubbie and less work for me. Brilliant! I wish you and your beautiful family a wonderful Thanksgiving! Oh wow – what an amazing pie! I love how you have combined three Fall favourites in one pie! It looks absolutely beautiful. I'd love to try this! What a gorgeous looking pie!